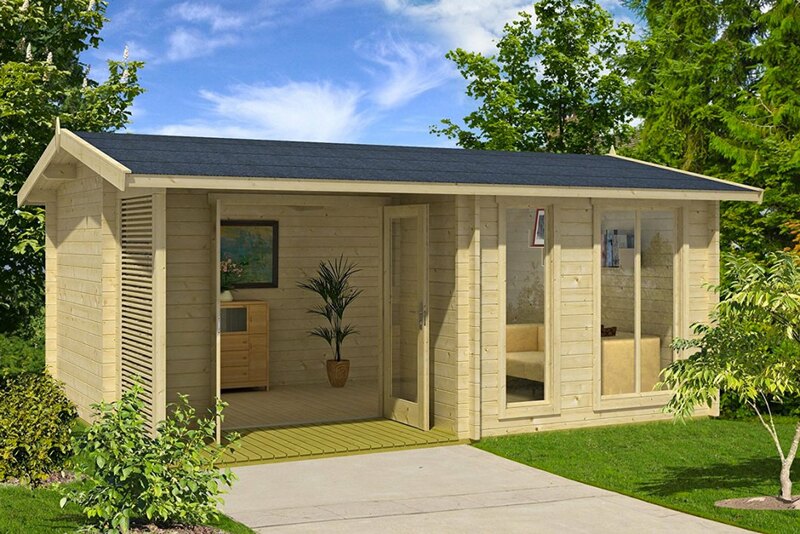 Allwood Kit Cabins may be no more than glorified playhouses to some, but given that I haven't found a place to put (or the money to buy) my Honomobo Container Home yet...it's time to glorify me a playhouse, baby! 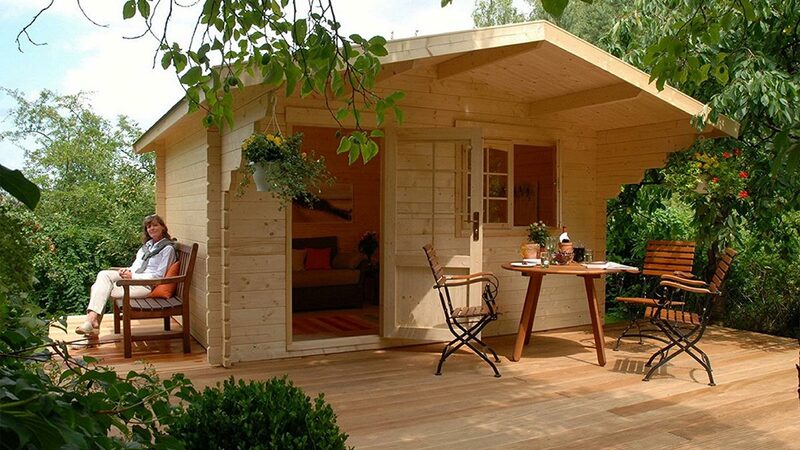 And really, an Allwood Cabin isn't a bad option for a DIY weekend getaway or backyard small house (or backyard dog house, depending on what you did to piss her off that night.) 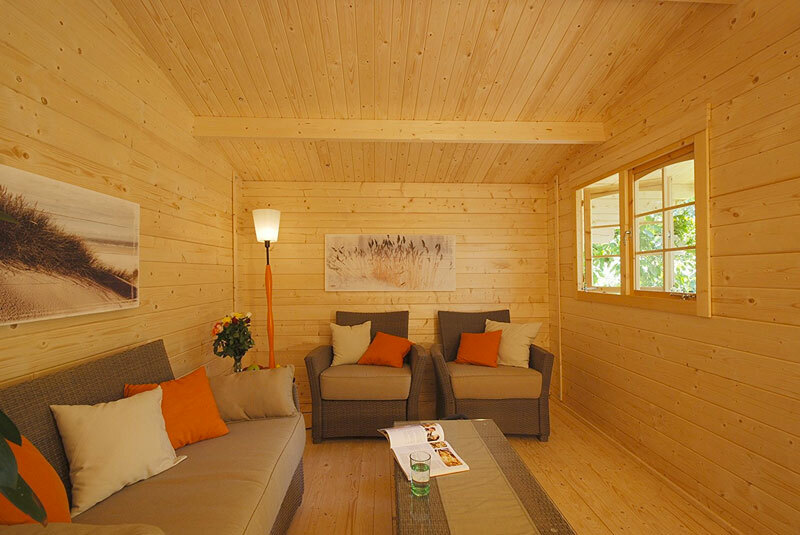 Some, like the Lillevilla Escape shown above, are even roomy and precious enough to accommodate visitors. In fact, Allwood's 483-square-foot Timberline is nicer than any room I myself have ever stayed in as a guest. Bonus points for having no plumbing - I love peeing in the open air! 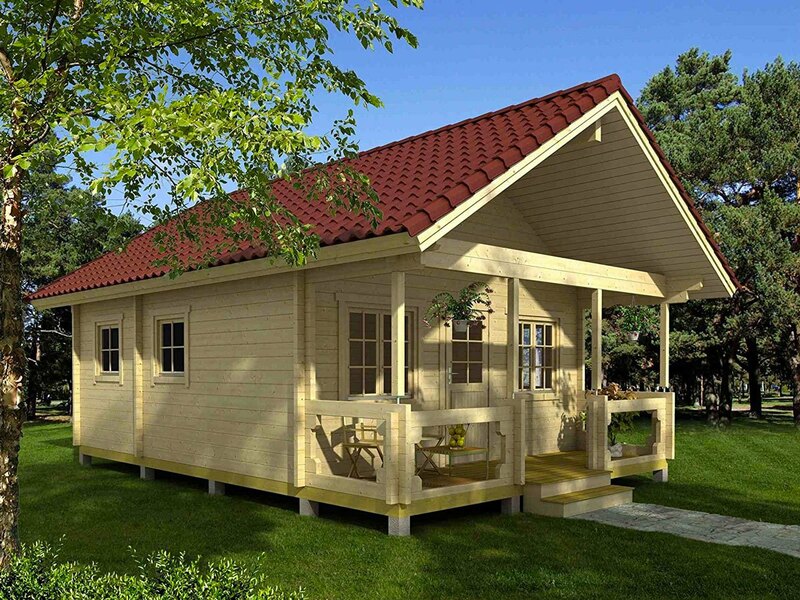 Suggested use for the 837-square-foot Allwood Eagle Point Cabin ranges from recreational to retail / office space to a custom mod that can function as your home sweet home. It has 2-3/4"-thick walls with dual tongue-and-groove wind block, and comes with an optional insulation kit to help with utility costs. 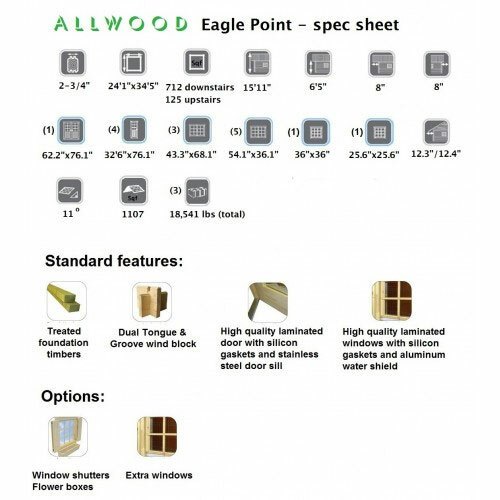 Allwood recommends have a professional crew assemble this particular kit, but it comes with: Nordic Spruce wall planks, roof, and floor boards; pre-hung and glazed doors and windows; pre-assembled gables; and all nails, screws, fixings, handles, and door locks. 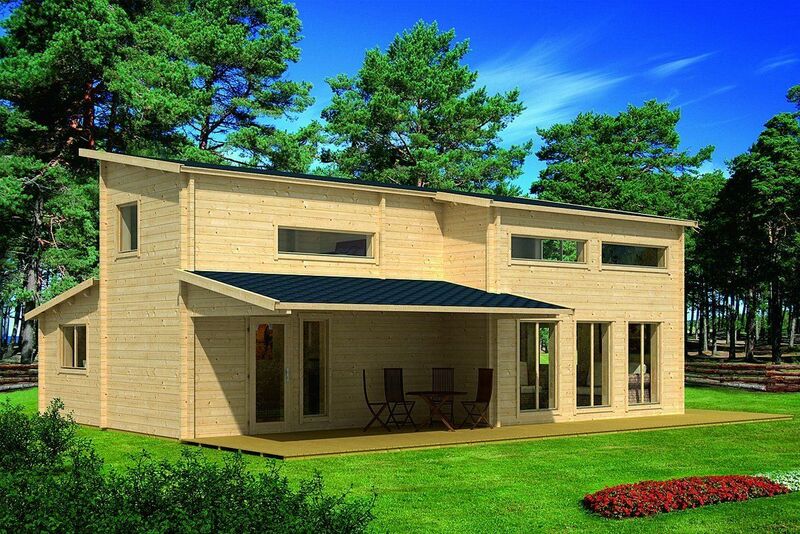 By contrast, lil' Lillevilla has 113 square feet of interior floor space and, according to Allwood, is a straightforward you-build with step-by-step instructions, all parts included, and minimal tools required.